BREAKROOM SOLUTIONS FOR EVERY BUSINESS. Capitol Vending has been a leading provider of Vending Machine Services for over 25 years! 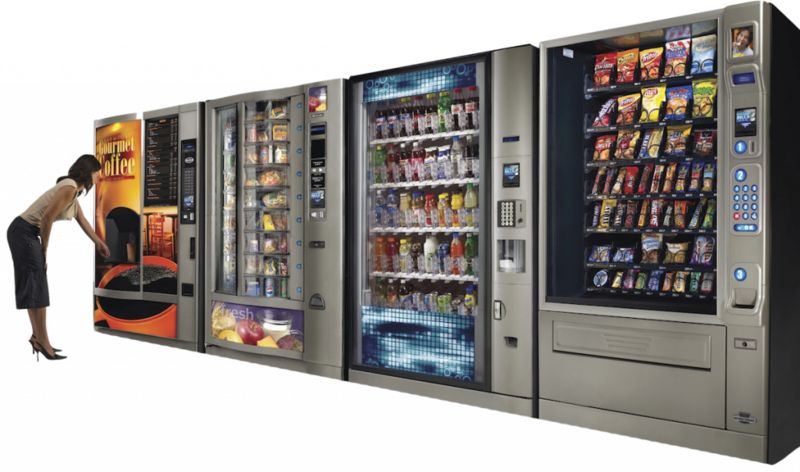 With our varied machine and product offerings, Capitol Vending has your company break room vending needs covered. With live-time reporting on our beverage, snack, coffee and food machines your location will always have their favorite break foods on hand. For a complimentary quote on your vending service needs, Contact Us today! The newest addition of break room solutions to the Capitol Vending family, “Capitol Cafe” Markets. Shelving, coolers and a self-pay kiosk is a company break room solution that allows us to offer exactly what your employees are looking for. Customized to your company needs, Capitol Cafe is an open concept that can fit most any space. An improved break room experience results in happier, more productive employees. Larger sizes, Healthier Options, and More! To get your very own Capitol Cafe Market at your workplace, Contact Us!